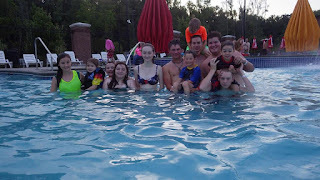 Everest Family Church will be doing another Fun Night in July at Cullman Aquatic Center on Wednesday 7/22 6pm. $5 each. Let them know you are with Everest Family Church. RSVP so we know who to expect. We went several times last summer and had a great time!!! For more info, please contact Sherry Morrow at themorrowclan@yahoo.com .